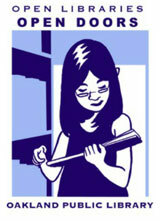 May is Get Caught Reading Month, sponsored by the Association of American Publishers (AAP). Get Caught Reading is “a nationwide campaign to remind people of all ages how much fun it is to read” – now there’s a platform we can support! The campaign features posters of celebrities of all stripes reading, from singer Alicia Keyes reading The Secret Life of Bees to soccer star Alex Morgan reading The Mixed-Up Files of Mrs. Basil E. Frankweiler. The newest celebrity poster shows Mercer Mayer, creator of the Little Critter series of children’s books. Where will you get caught reading this month? Note: Always wear your helmet when reading on a motorcycle!